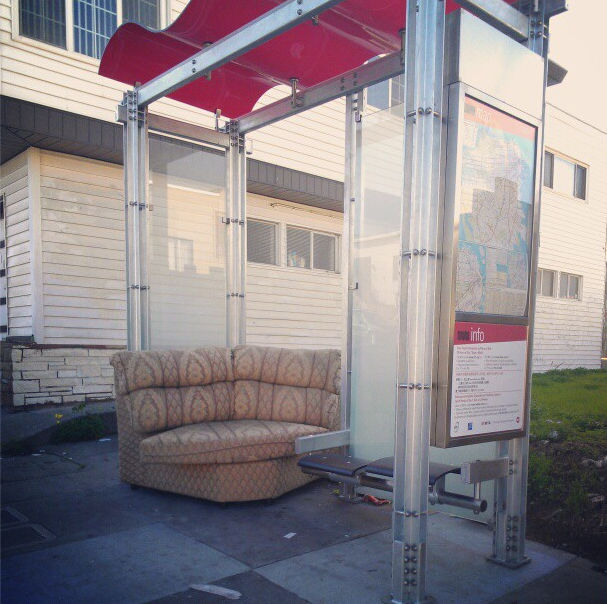 How many times have you wished you could nap under your desk at work? 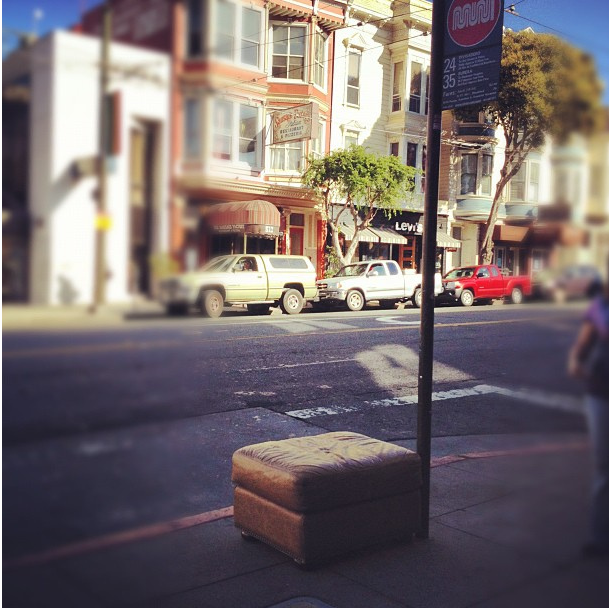 I’m full of admiration for this Muni driver, who took matters into his own hands and fashioned a rest stop on the sidewalk. 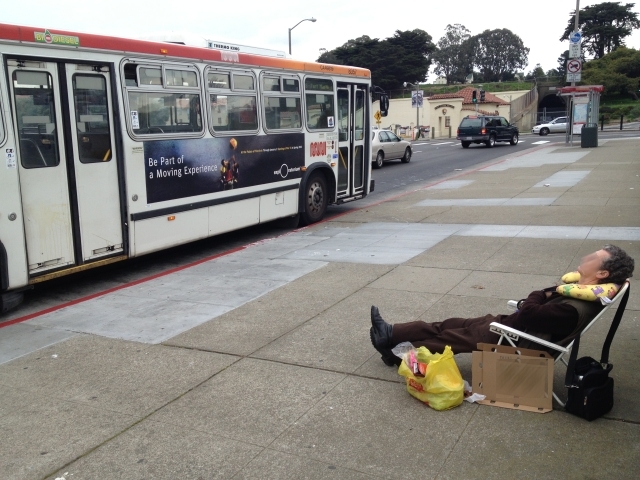 Two keen readers saw him catching a nap before his shift in front of the Marina Safeway last weekend. 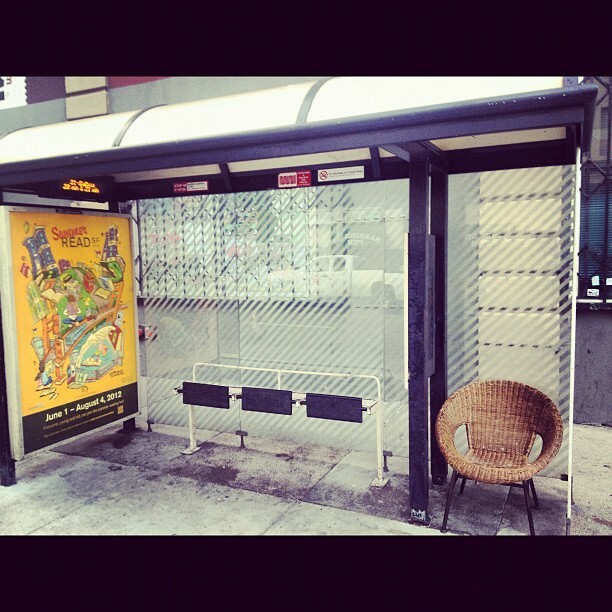 No Muni shelter at this stop to rest your feet? No problem. 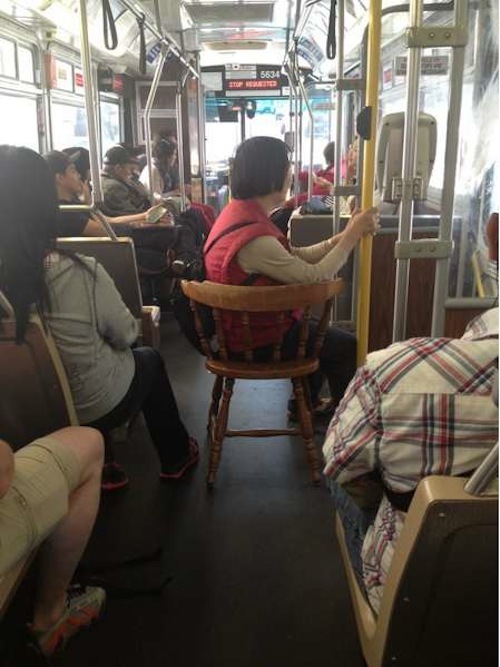 Someone’s taken the matter into his own hands here. 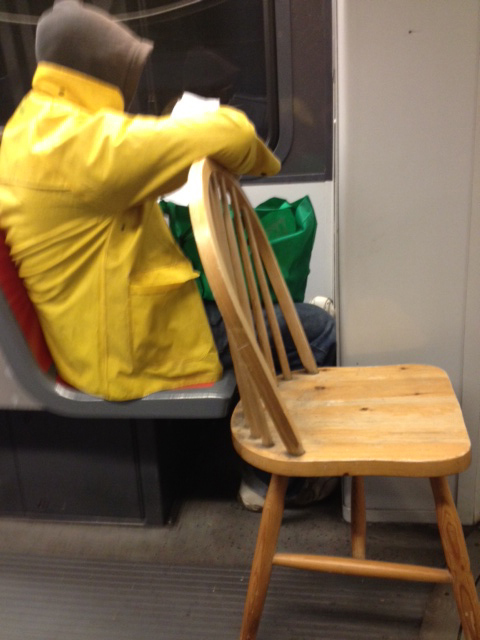 It’s one of the oldest memes here on Muni Diaries: Creative seating on and around Muni. These are the latest editions. Below, yeah, that’s more my style. This one was delivered to us via @ohshititsjake. 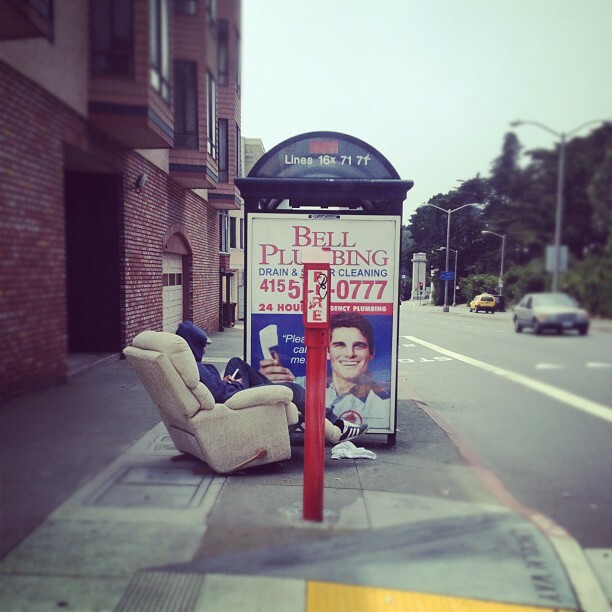 What cool stuff have you seen on or near Muni lately? Let us know.